Simon & Schuster, 9780684853901, 416pp. 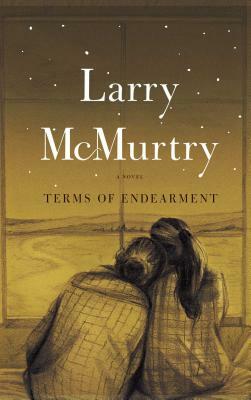 In this acclaimed novel that inspired the Academy Award-winning motion picture, Larry McMurtry created two unforgettable characters who won the hearts of readers and moviegoers everywhere: Aurora Greenway and her daughter Emma. Aurora is the kind of woman who makes the whole world orbit around her, including a string of devoted suitors. Widowed and overprotective of her daughter, Aurora adapts at her own pace until life sends two enormous challenges her way: Emma's hasty marriage and subsequent battle with cancer. Terms of Endearment is the Oscar-winning story of a memorable mother and her feisty daughter and their struggle to find the courage and humor to live through life's hazards -- and to love each other as never before. The New York Times Very special...very winning...it will make you laugh and cry. The New Republic A vivid and richly detailed novel about ourselves and those we love. Newsday McMurtry at his best! He is one of the few male authors who can write convincingly from the woman's point of view.